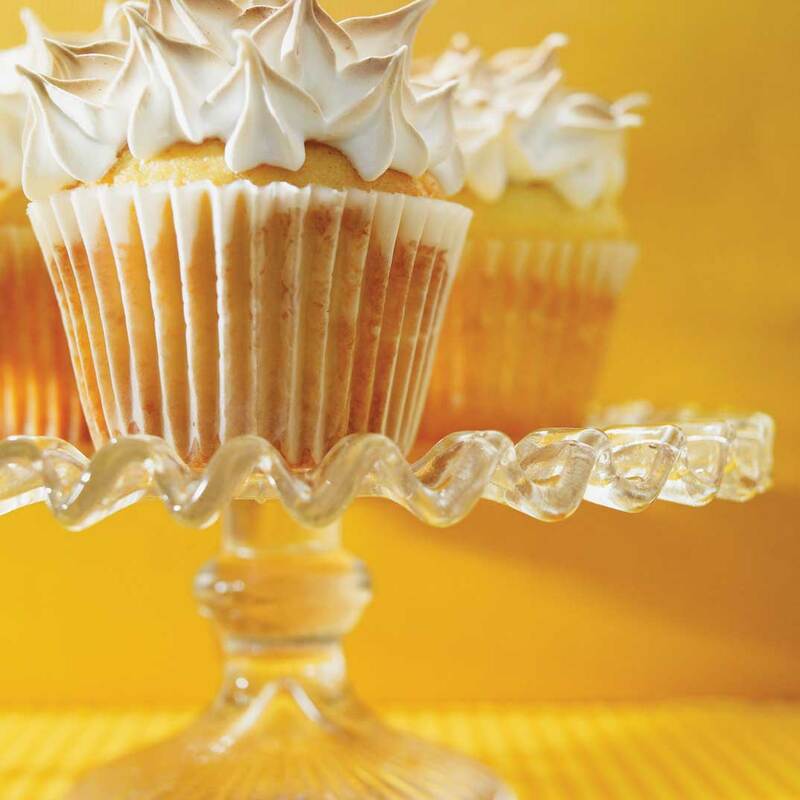 Using an apple corer, make a small well in the middle of each cupcakes without piercing the bottom, removing the equivalent of 15 ml (1 tablespoon) of cake. Fill with lemon curd. 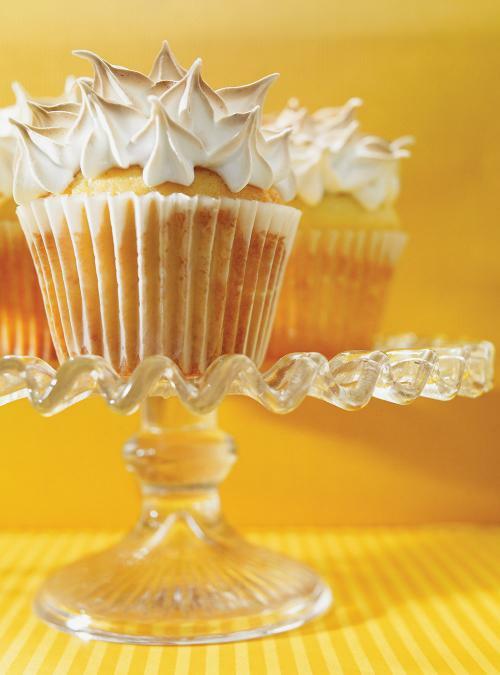 Using a pastry bag fitted with a fluted tip, frost the cupcakes with rosettes of meringue-shaped peaks. Using a welding torch or under the broiler, quickly brown the meringue.